University of Arkansas System President Don Bobbitt and his wife, Susan, have made a $150,000 planned gift to the J. William Fulbright College of Arts and Sciences at the U of A.
FAYETTEVILLE, Ark. – University of Arkansas System President Don Bobbitt and his wife, Susan, have committed a $150,000 planned gift to the Bobbitt Family Fund in Chemistry and Theatre at the University of Arkansas. Their gift will support students in the J. William Fulbright College of Arts and Sciences, as well as Campaign Arkansas, the university’s $1.25 billion capital campaign. The Bobbitts created the Donald R. and Susan M. Bobbitt Award in Chemistry and Drama in 2002 during the Campaign for the Twenty-First Century. In 2015, it was renamed the Bobbitt Family Fund in Chemistry and Theatre but retained its original purpose of enhancing both departments. “We wanted it to be a fund that would help the departments of chemistry and theatre recruit graduate students,” Don Bobbitt said. The departmental designations of the fund reflect Don and Susan Bobbitt’s backgrounds in chemistry and theatre, respectively. Don Bobbitt earned a Bachelor of Science in chemistry from the U of A and a doctorate in analytical chemistry from Iowa State University. He taught chemistry at the U of A for 17 years before being named interim dean of the J. William Fulbright College of Arts and Sciences. He became dean of Fulbright College the following year, in 2003. Susan Bobbitt graduated from Iowa State University with a bachelor’s degree in apparel design and pattern making after attending the U of A for two years. Upon returning to Fayetteville, she volunteered in the U of A’s Theatre Department costume shop and later worked as an hourly employee. She was then hired as a seamstress and was the costume shop manager for seven years. The Bobbitts chose to make their contribution through a planned gift and increase the endowment of their existing fund. Students have already benefited from the Bobbitts’ fund since it was started, and the couple regularly hears from the beneficiaries. Don Bobbitt also received scholarship support as a student at the U of A, and he recalls meeting the family of one of his donors while he was dean of Fulbright College. The donor had saved his handwritten thank you note from years earlier. Bobbitt and his wife are both first-generation college graduates, and their three sons share six degrees between them. 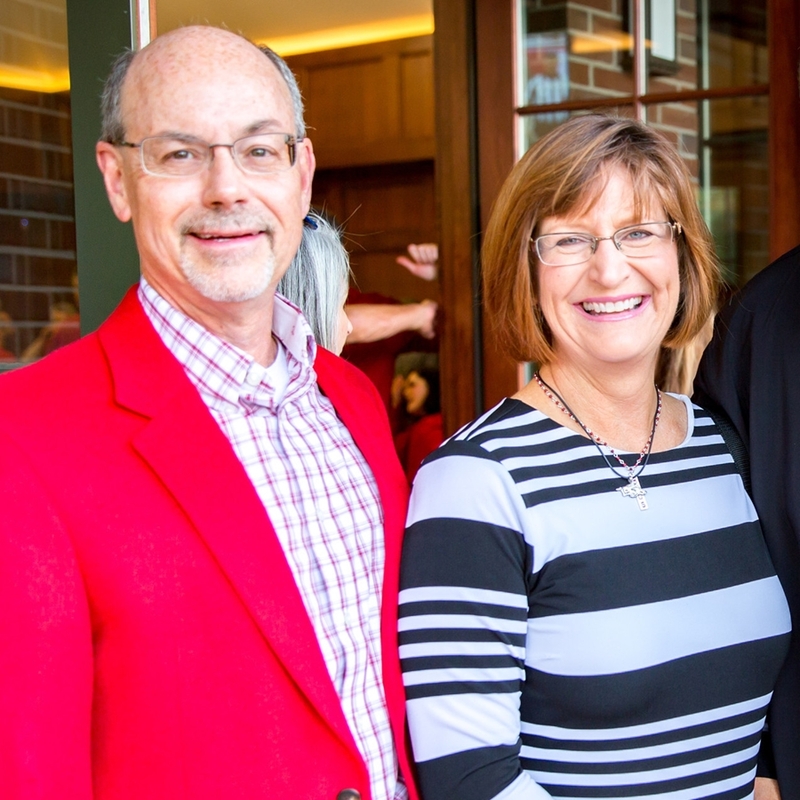 The Bobbitts are life members of the Arkansas Alumni Association, members of the Chancellor’s Society and are counted as Thoroughreds for their 27 years of consecutive giving to the U of A. They are also included in the Towers of Old Main, a giving society for the university’s most generous benefactors. About Campaign Arkansas: Campaign Arkansas is the ongoing capital campaign for the University of Arkansas to raise private gift support for the university’s academic mission and other key priorities. The campaign’s goal is to raise $1.25 billion to support academic and need-based scholarships, technology enhancements, new and renovated facilities, undergraduate, graduate and faculty research, study abroad opportunities and other innovative programs. The University of Arkansas provides an internationally competitive education for undergraduate and graduate students in a wide spectrum of disciplines as it works to fulfill its public land-grant mission to serve Arkansas and beyond as a partner, resource and catalyst.